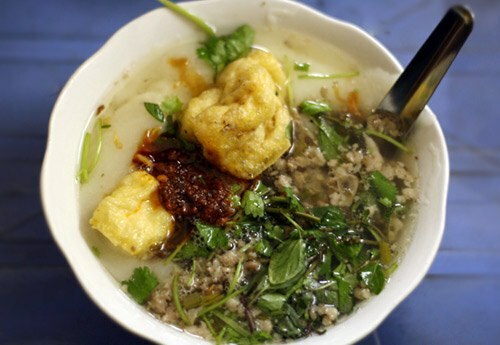 Where are the best local street food in Hanoi Old Quarter? 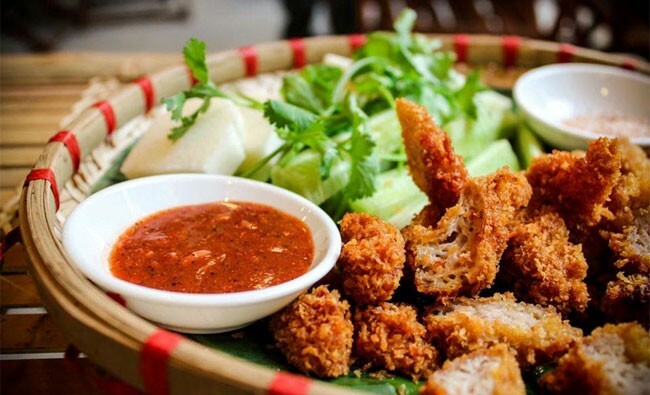 Hanoi – Heaven of street foods ranging from the snacks to main dishes that get you full up all night or sweet deserts for desert lovers. Everyone can find their favorite when strolling around Hanoi’s Old quarter. All the best street food are being sold here and you can’t try it all in one day I’m sure of this since there are too many good things to choose from. 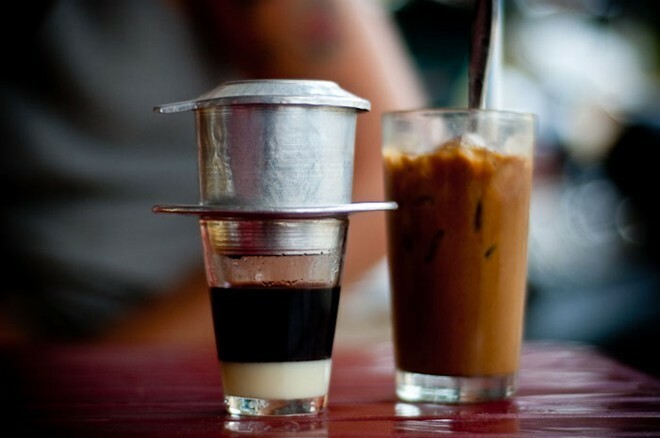 Let’s see some of our picks and taste it for yourself when in Hanoi. 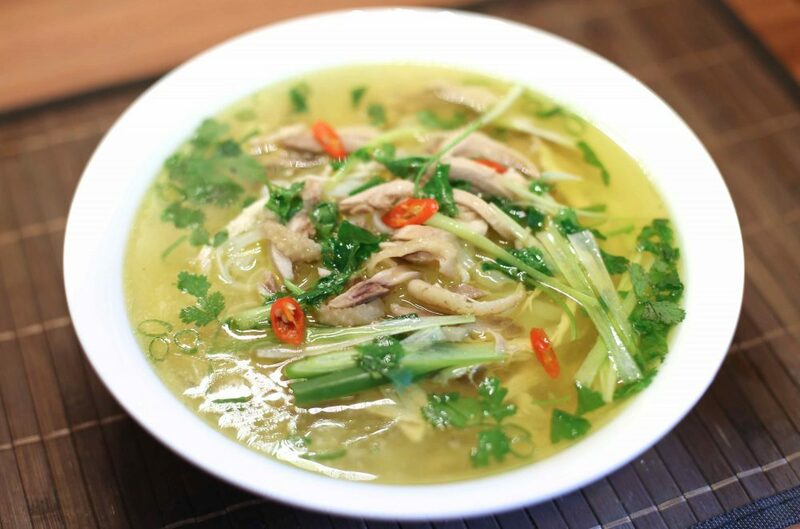 Phở gà (chicken pho) is lighter than beef pho, and it is a natural remedy for a common cold. 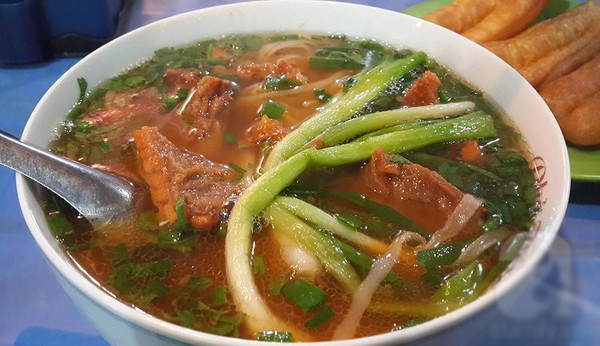 Similar to beef pho, it is usually served with chopped spring onions, coriander, onion slices and also quẩy, deep-fried flour-based snacks that are crunchy on the outside and chewy on the inside. Locals tend to dip them into their soup to let them absorb the tasty broth. 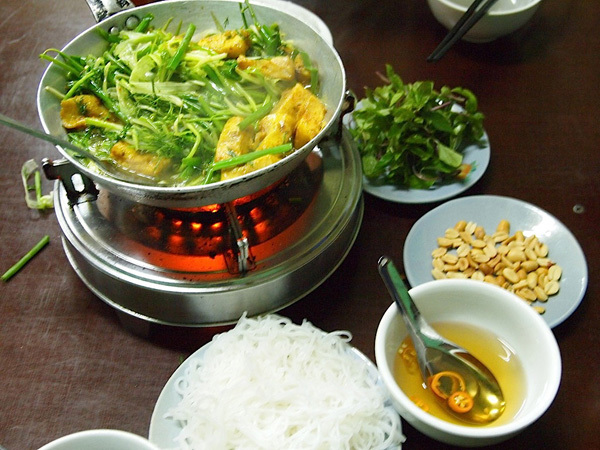 The Vietnamese prefer chicken thighs to breasts, so chicken thigh pho is a little more expensive. 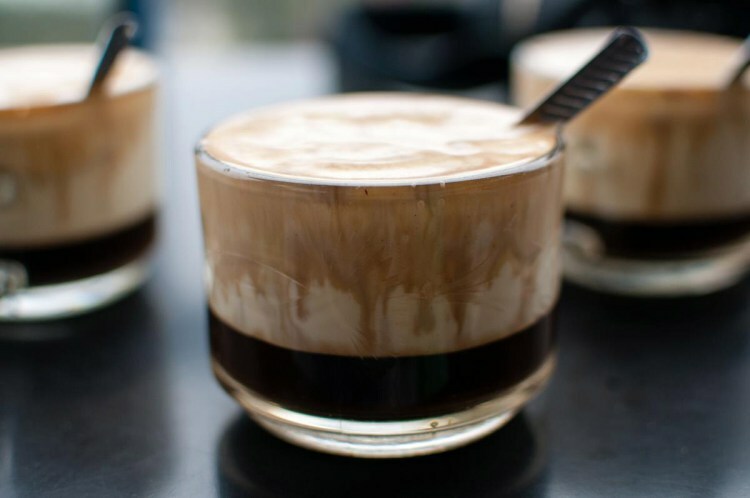 Yogurt coffee (sua chua ca phe): Like coffee, yoghurt was originally brought to Vietnam by the French and has been adopted into local culinary tradition. Rich and creamy, it’s served with various toppings, from fresh mango to fermented rice – and even coffee. This might sound like an odd combination, but the rich yoghurt pairs amazingly well with a drizzle of black coffee – just stir and sip. 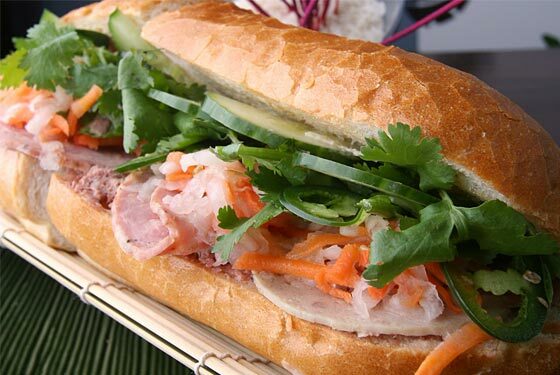 Vietnamese sandwich is one of the most ingenious France-meets-Asia creations ever! A fluffy baguette is stuffed with pate, cold cuts, cucumber, and pickled carrots & daikon. In Hanoi, this sandwich will be finished off with hot sauce and mayo drizzled on top. 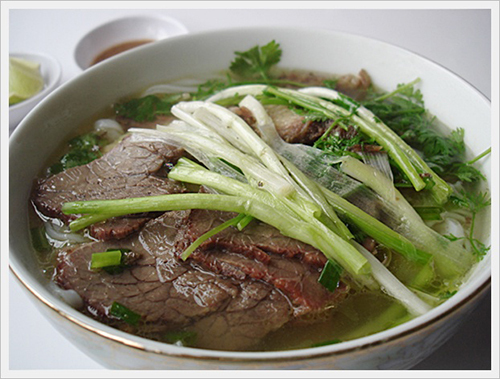 Bun Bo Nam Bo (beef noodles in the south) is also known as stirred beef vermicelli. The simplicity and elegance is what people describe about this dish. 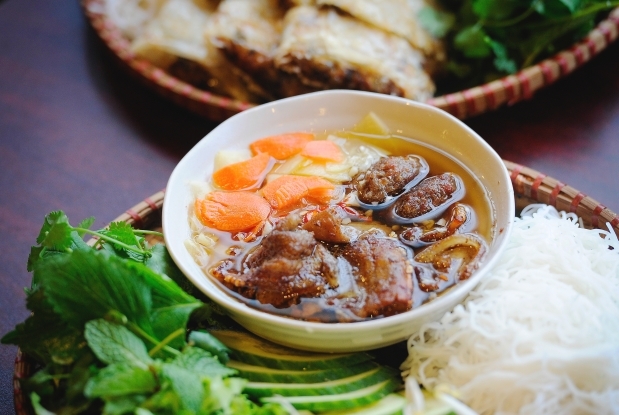 Instead of using sophisticated broth as Pho, sauce is used for Bun bo Nam Bo. Besides, fresh raw accompanying vegetables, fried onion, roasted peanuts and bean sprouts are indispensable elements. Beef used for the dish is well soaked in sugar, fish sauce and pepper and other seasonings. The famous noodle that not every foreigner would have a bravery to try because the smell of the shrimp sauce. 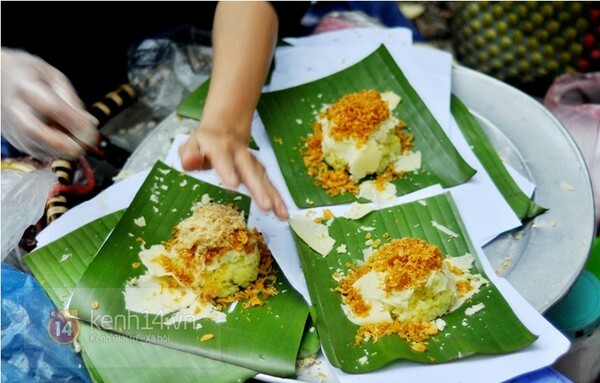 But we Vietnamese love it since behind the smell (which is unavoidable) the taste is pretty sweet and the combination of rice noodle, soya cheese and shrimp sauce brings joy to your mouth. 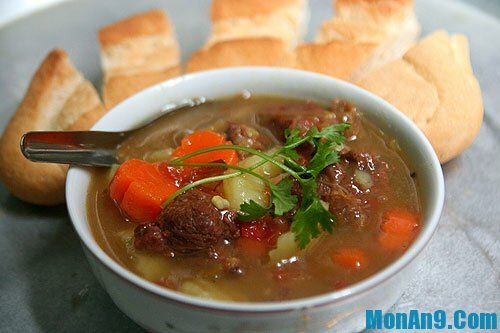 Hanoians also add sliced boiled pork and its black pudding for more flavor while chewing. If you ask every Hanoian what their favorite snack is, most of them will say Fried pork roll. For easy understanding, it’s like Vietnamese pork sausage eating together with a dip into chili sauce. The fried pork roll usually is a snack for afternoon with people sit in small plastic chairs in the street with their friends. 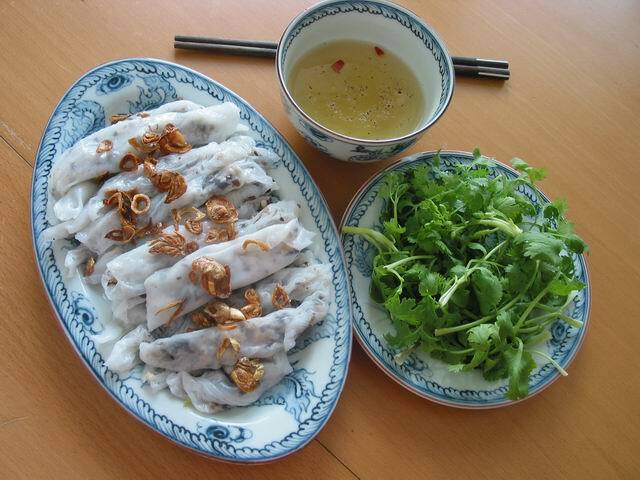 The side dishes of fried pork roll are fresh cucumber or yum bean with a cup of iced tea. 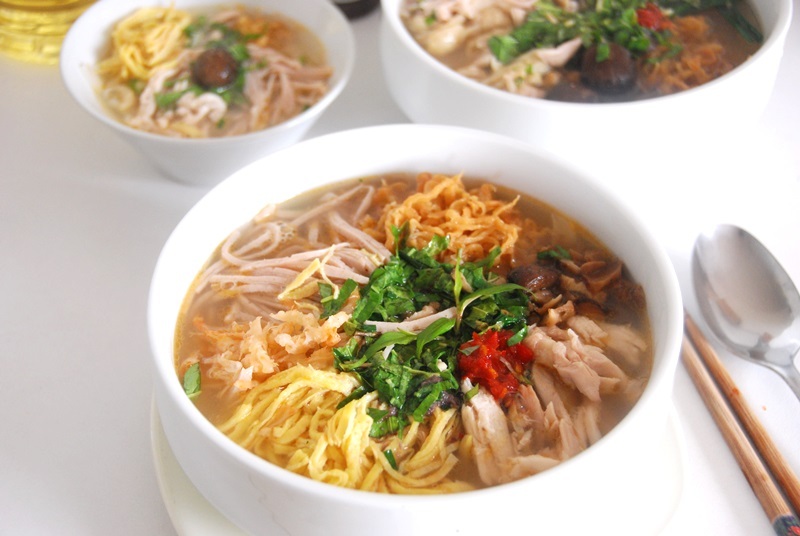 Yes, Hanoi is a paradise of noodles. 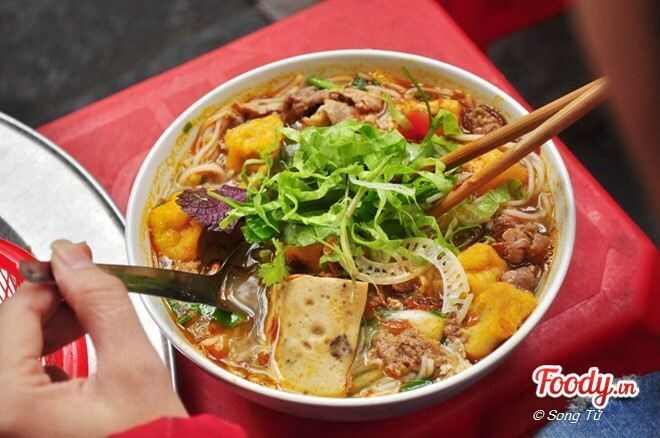 You can’t count how many kinds of noodle that Hanoi proudly has. 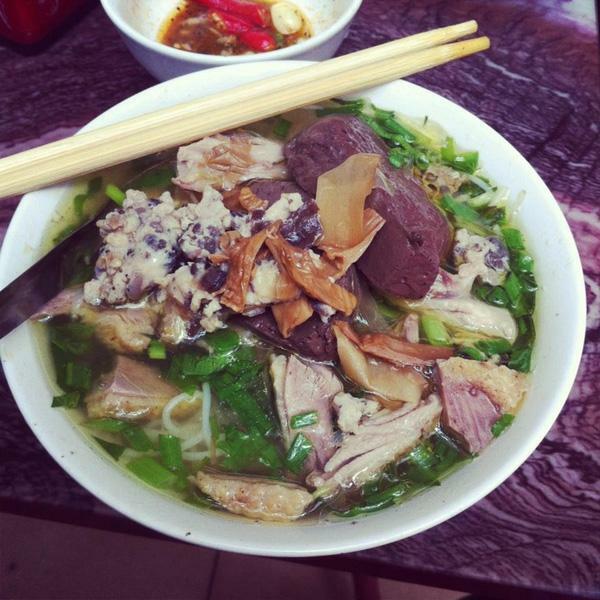 However, to my opinion, the special, signature noodle that you can only find the best in Hanoi is Bun Thang. The “Thang” in its name origins from the way the dish is prepared. 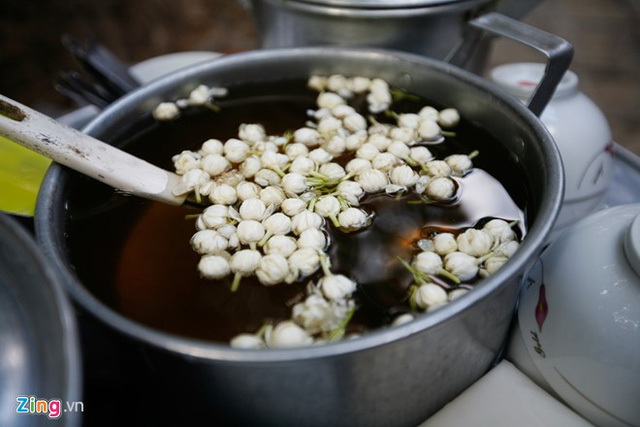 Because it takes so many ingredients to perfect the dish that people link the process to the process of old Vietnamese pharmacists prepare herbal medicine for their clients/patient . 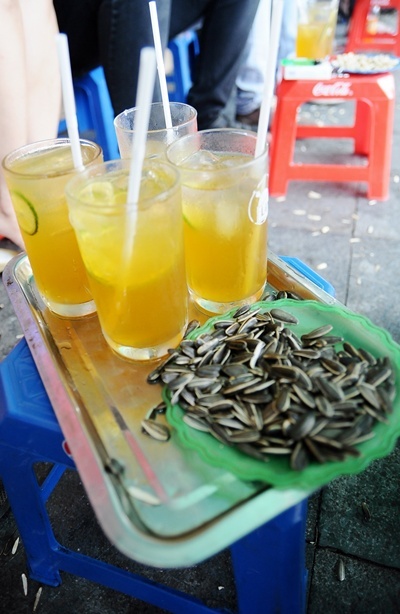 A drink in hot summer that you can find easily around the area of Big Church of Hanoi. The mixture of Vietnamese tea with lime juice, sugar and ice cube will make your summer hot day fresh and cool immediately. Best side dishes when having a beer. The squid or fishes are already been dried under the sun for more than 24 hours. When serving, the cook will grill them again and tore it to small thin slices for one to peck with their drinks easily. Banh cuon is made with a pork and mushroom filling wrapped in freshly steamed rice paper, then topped with crunchy fried shallots. Fish sauce, chilis, and fresh herbs are served alongside. Eat it all in one bite for maximum deliciousness! Often, cinnamon pork will be offered as an accompaniment too. This is like Vietnam’s version of chow mien, using pho noodles! 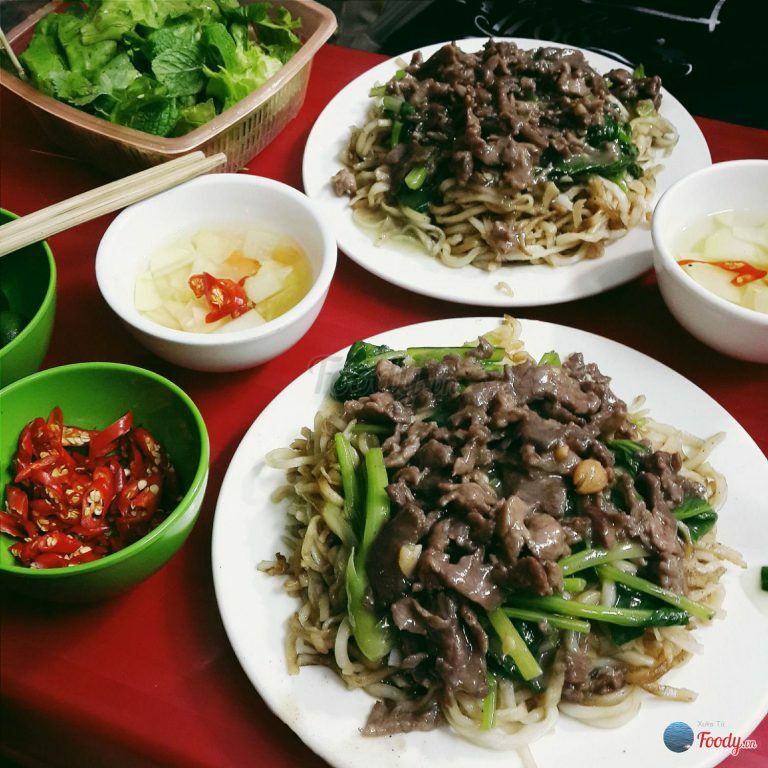 The rice noodles are wok fried with greens and meat (most likely, beef). 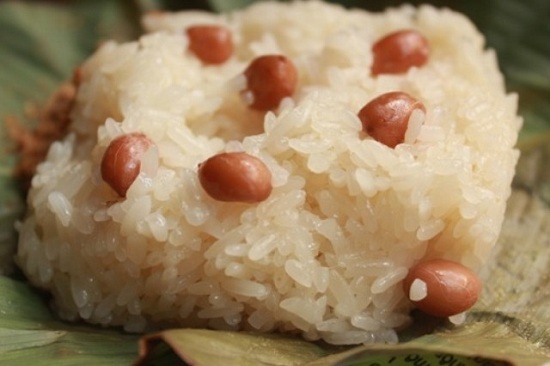 Xôi is a sweet (ngọt) or savory (mặn) Vietnamese dish made from glutinous rice and other ingredients. 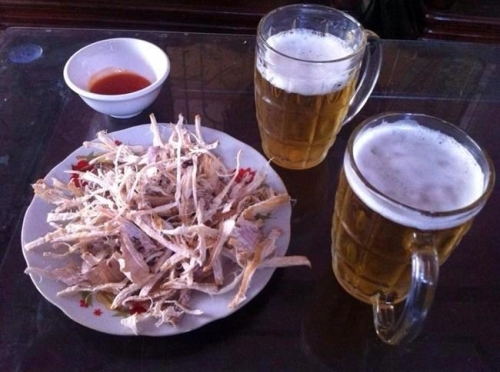 It will be a big miss if you come to Hanoi without trying “xoi”. Made from sticky rice, xoi has as many variants as you can imagine. 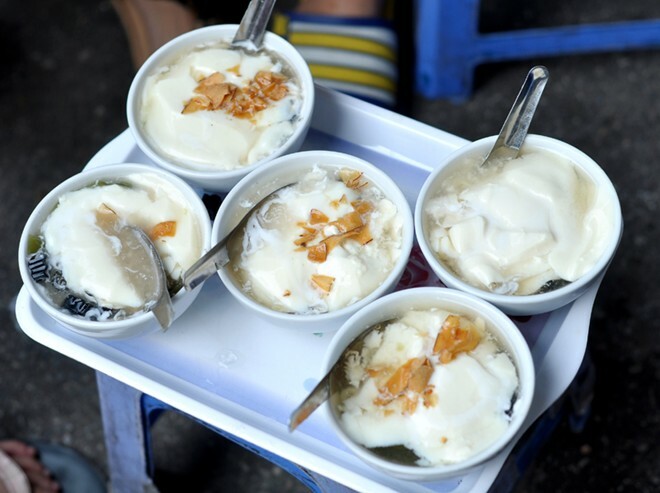 “Xoi” is a very common food in Vietnam, and one can find it anywhere from the roadside vendors to luxuriously traditional restaurants. 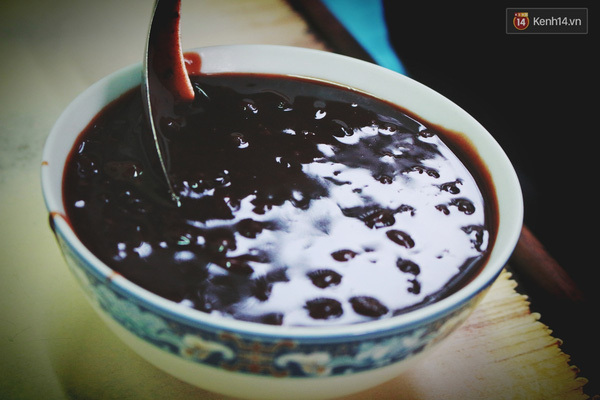 Xôi is a common on-the-go breakfast item, and a popular snack nationwide. 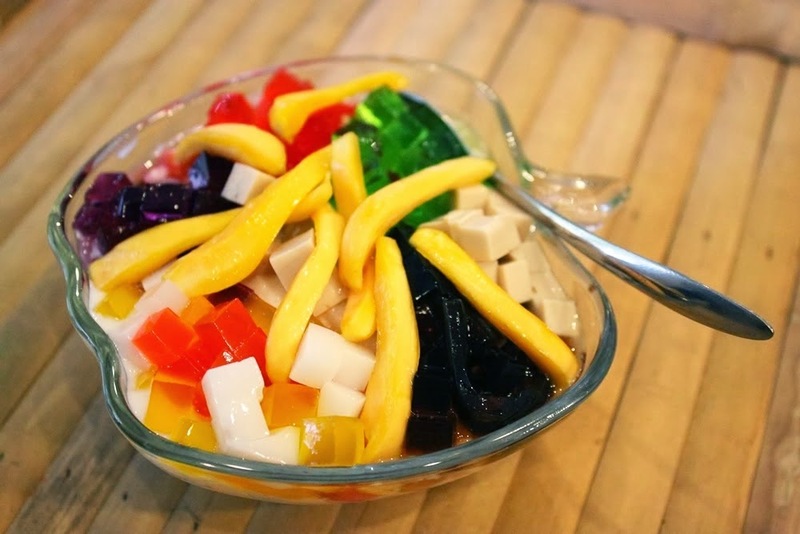 Suong Sa Hat Luu (Jelly sweet treat – cold serve) – colorful and nice flavor – loved by the younger generation (~VND 20,000). You can find it at: 4-6-8 Hang Can street or 10 Ta Hien street. 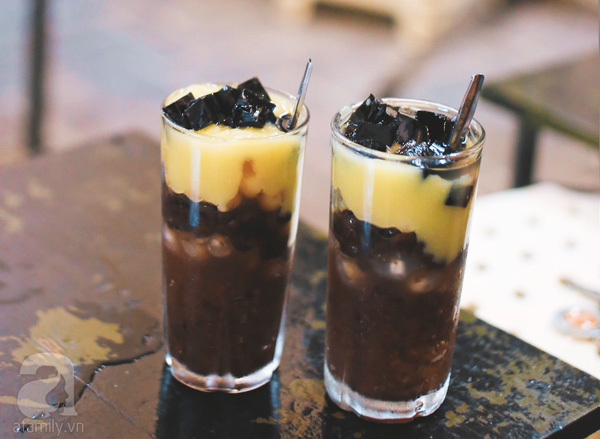 There are about three or four shops selling homemade caramel pudding and yogurt close to the corner of Hang Than and Hoe Nhai. It’s easier for takeout but if you don’t mind a bit squeezing, of course you are welcome to sit down. 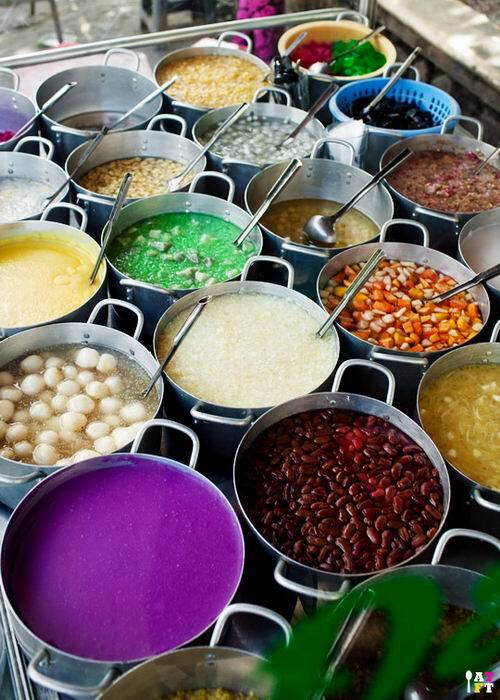 They are master at mixing yogurt and caramel pudding with fruits, nep cam (violet glutinous rice) and all kinds of yummy jelly. 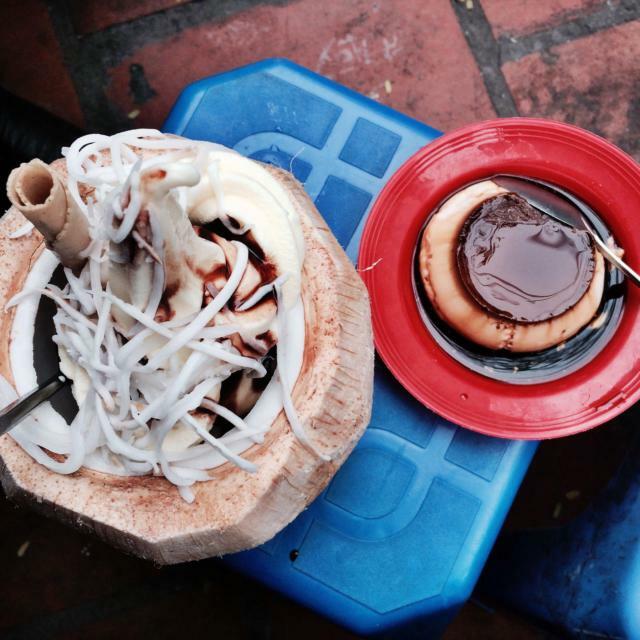 In the same store, you can find a huge portion of ice cream served in a fresh coconut. 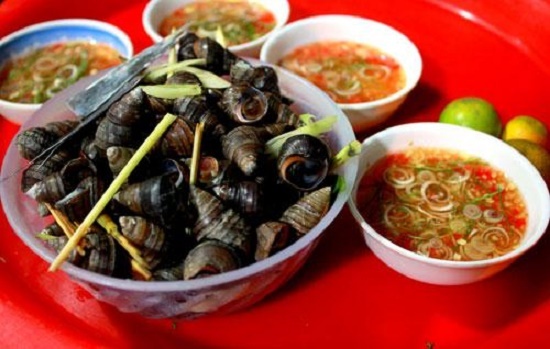 Like the French, the Vietnamese eat snails too, but not the same kind of snails. They eat ốc (Vietnamese freshwater snails), which are smaller and chewier than their land-based cousins. 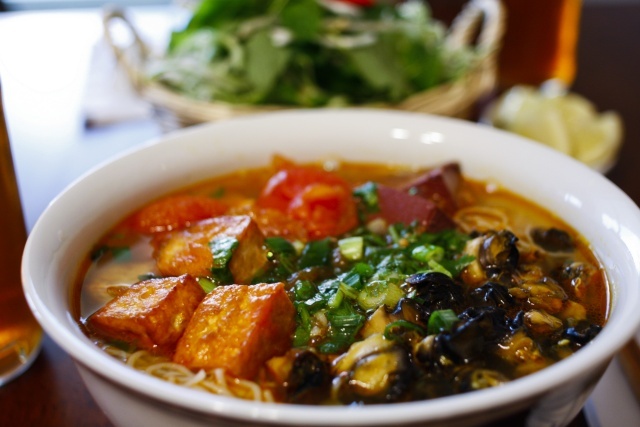 Cooked snails are arranged neatly in a bowl of bún (rice vermicelli) with fried tofu and fresh herbs, and the dish is finished with a hot, sweet and sour broth that is poured over all of the cold ingredients. Finally, a few slices of cooked tomatoes are placed on top. You can find it at: 6 Hang Chai street t(~VND 35,000). Bún (rice vermicelli) complements shellfish wonderfully, and it is eaten with both ốc (freshwater snails), and riêu (minced freshwater mini crabs). 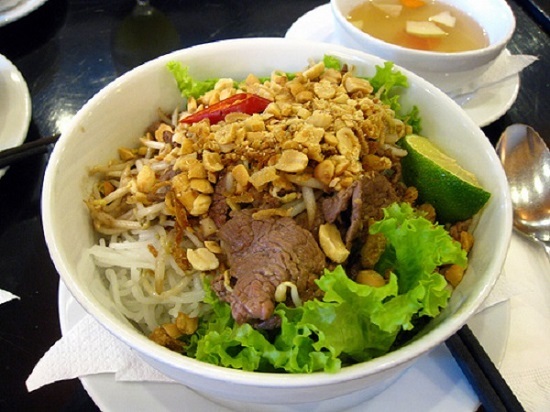 Similar to bún ốc, bún riêu is served with fried tofu and, sometimes, thinly sliced beef fillet. You can find it at: 15 Hoe Nhai street t(~VND 40,000). 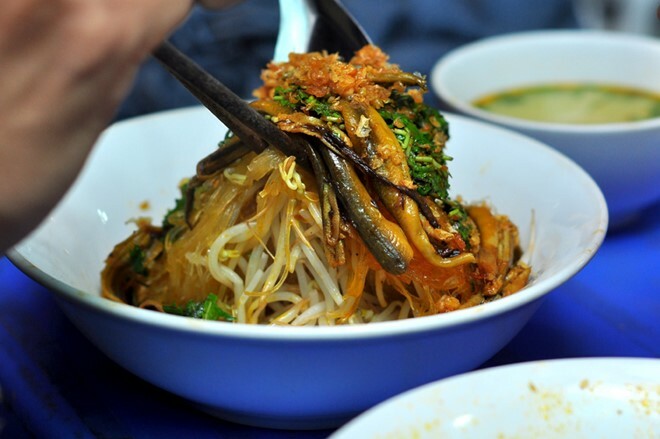 The main ingredients of miến lươn are miến (cellophane noodles), lươn (eels), fried shallots, bean sprouts and cilantro. The eels are usually deep fried to eliminate their fishy smell and to add a tasty, crunchy touch to the dish. In Chân Cầm street, Minh Lan restaurant specializes in eel dishes, and apart from eel noodle soup, you can also try eel soup and stir-fried eel noodle. You can find it at: 1 Chan Cam street t(~VND 35,000). Bún ngan (Musk Duck noodles) is made from Musk Duck meat, white rice vermicelli noodles, bamboo shoots and green onion, served in broth made from stewed pig bones with tomatoes. You may have to line up in the long queue before getting a bowl of Bun Ngan in “Bun Ngan Nhan” place. It’s always crowded and require your patience to taste the dish. You can find it at: 10 Trung Yen alley, Hang Bac street t(~VND 40,000). 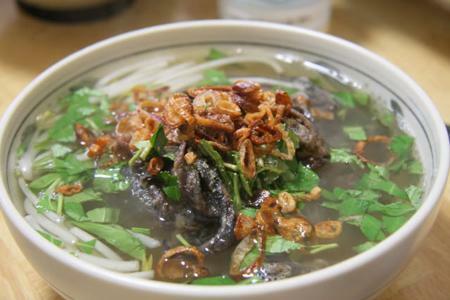 In the list of Hanoi street foods, perhaps boiled snail is a delicious dish that many people mentioned most. Unlike fried or roasted with tamarind types of snail in Saigon, genuine snail in Hanoi is one kind of swirl, rock or jackfruit snail, which is commonly known by the familiar names as “big snails, small snails”, boiled with lemongrass and lime leaves, served with chili sauce with fresh ginger, taken by real grapefruit linen or 1 sharp tinplate pieces. 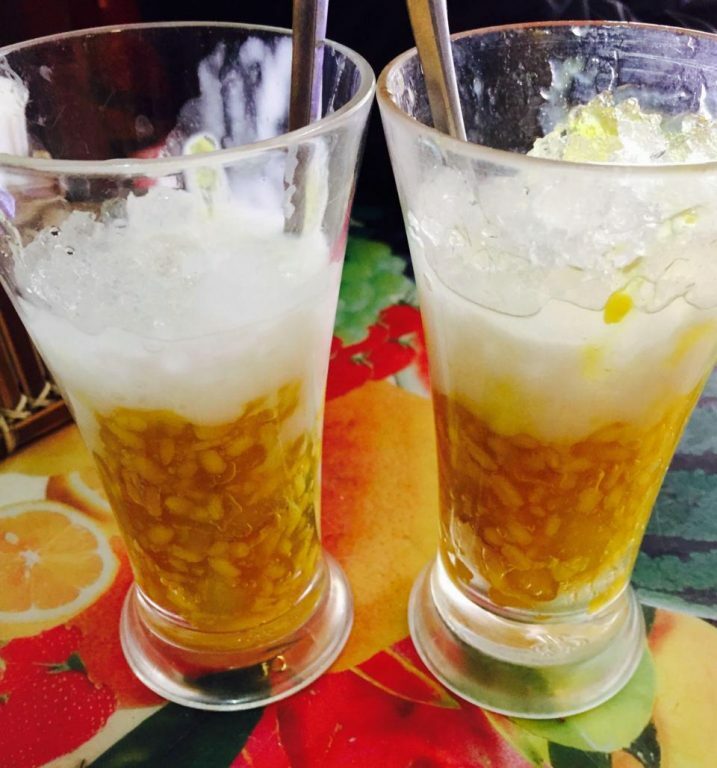 Tao Pho, a white, condensed pudding that is serve as a dessert with sweet syrup. Very popular with women, this is a good snack on a hot summer day. 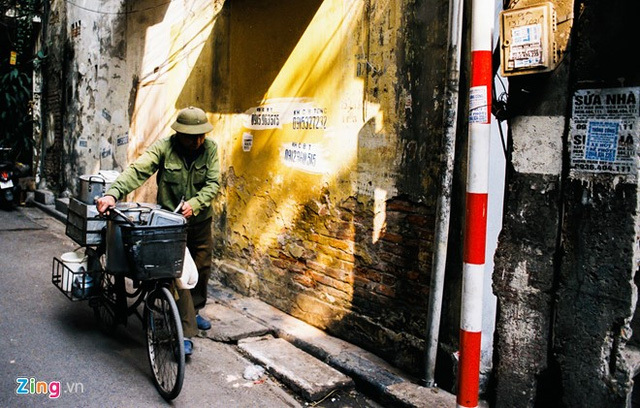 In northern Vietnam, Tao Pho sellers often ride bicycles with a barrel of Tao Pho behind them. 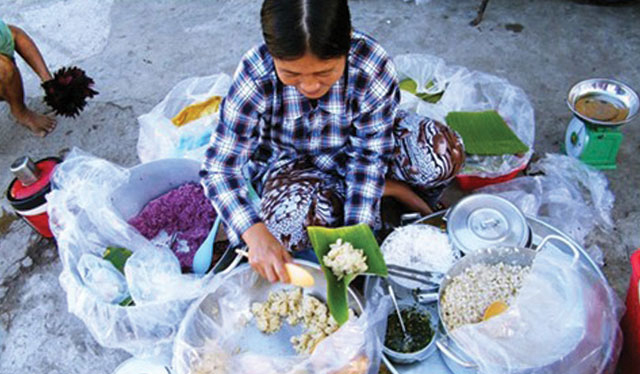 The vendor uses a flat spoon to ladle thin layers of Tao pho into a bowl before adding syrup. 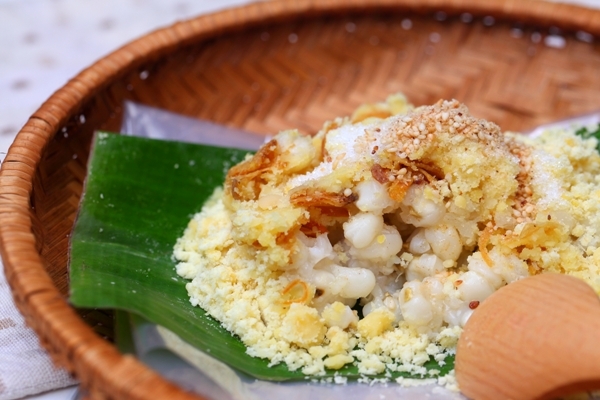 Banh duc (rice cake) is a cake made from non-glutinous rice flour. 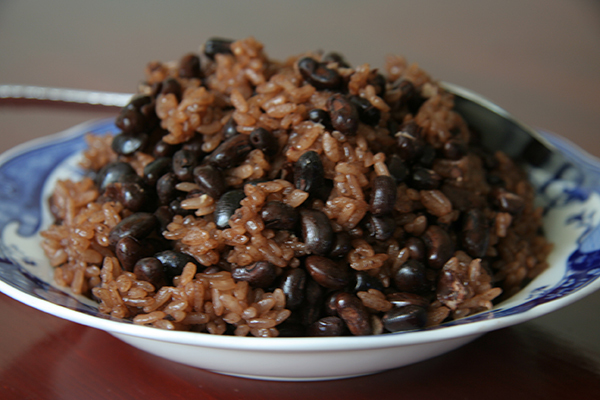 In the north it is typically garnished with savory ingredients such as ground pork, grilled ground shrimp, fried onions, sesame seeds, salt, peanuts, lime juice, and soy sauce or fish sauce. You can find it at: 19 Hoe Nhai street t(~VND 20,000). The influence of the French on this dish is clearly in evidence in the use of wine and beef, though it still has characteristic Vietnamese notes, the strongest being the inclusion of fish sauce. The marriage of red wine and fish sauce doesn’t inspire confidence but in typically ingenious vina-style, and with the addition of spices including cinnamon and star anise, the union is a harmonious one. Variations sometimes include tomatoes and carrots. 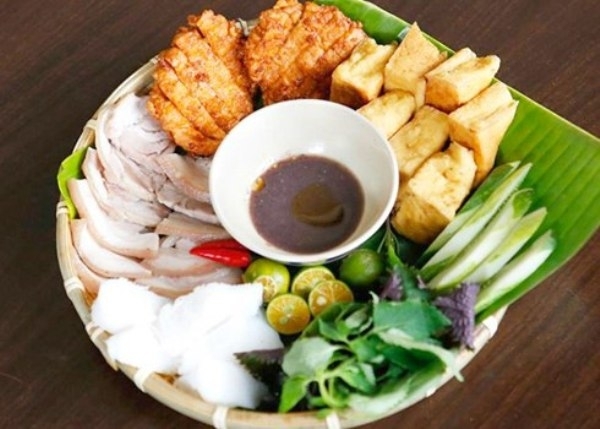 Thickened with tapioca flour and garnished with spring onions and herbs before the bowl comes to table, sốt vang is normally served in two distinct ways; a ladle full, as an alternative to other cuts of meat on top of phở, or in a bowl accompanied with a plain bánh mì. 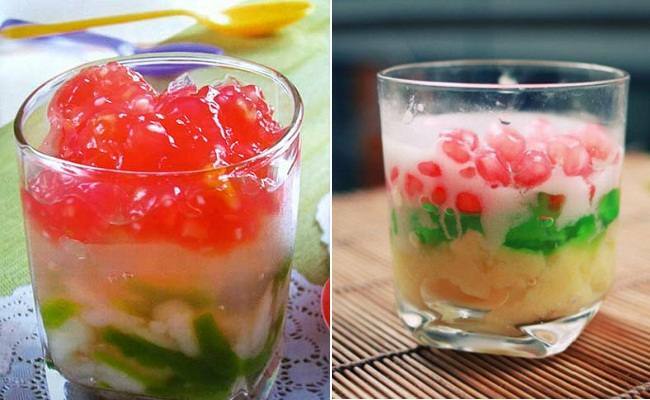 The dessert is quite famous youngster of Hanoi. 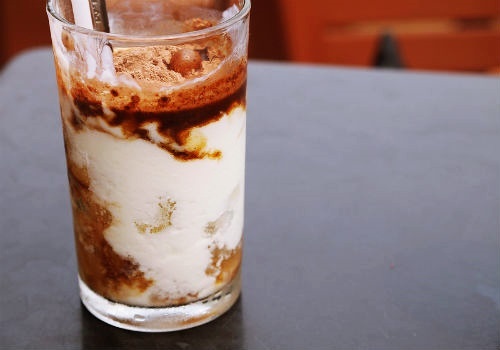 This dessert is not only delicious, but also really good for your skin. The combination between these ingredients will create a fantastic song when chewing. 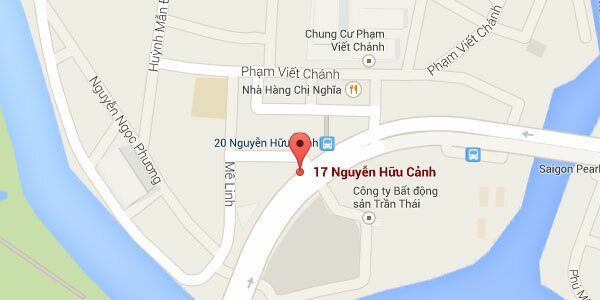 You can find it at: 22 Ba Trieu street is the first shop since 2014. Now, next to them, a lot of same shops open with the same quality t(~VND 25,000). A very comprehensive and well detailed pictures / information and explanaton on food types, tastes and with location. If add in an estimated cost of the dish would be very helpful. Good Job.